It’s still a work in progress, so I don’t have any final reveals yet. We’re getting new carpet installed sometime (hopefully) in the next week, and I’m still working on our new bed quilt. I’ve been on hiatus from that one, but I’ve gotten back to it this week. 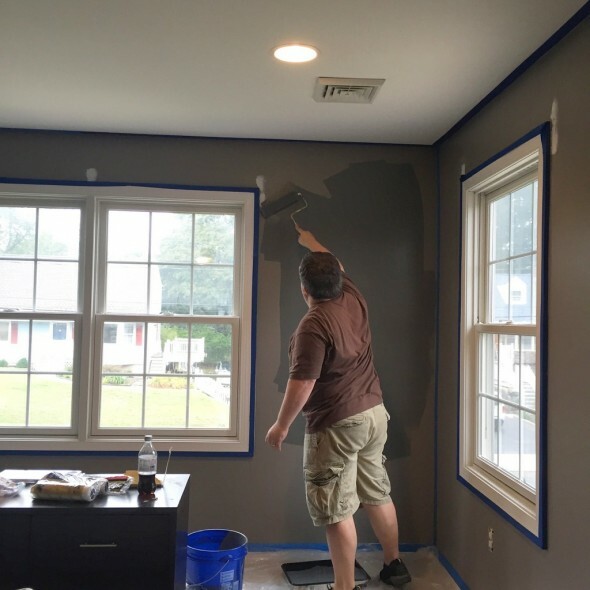 But so far, we’ve painted the whole room, switched furniture around, and redone the wiring for the TV. That last one was all Adam, I just tried to keep H out of our bedroom. She kept trying to pick up tools and help. This was our room before, when it was also not super clean (we knew we were about to move stuff all over). 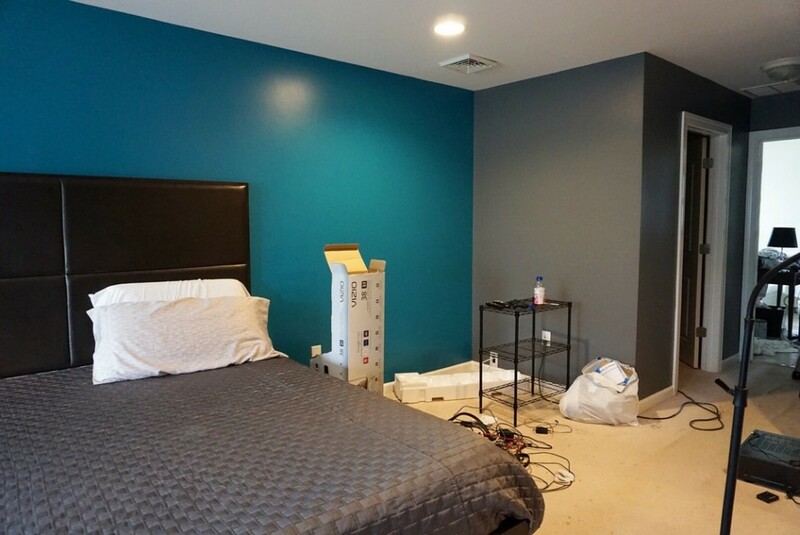 The bed has now flipped to the opposite wall, which is also now the teal wall. 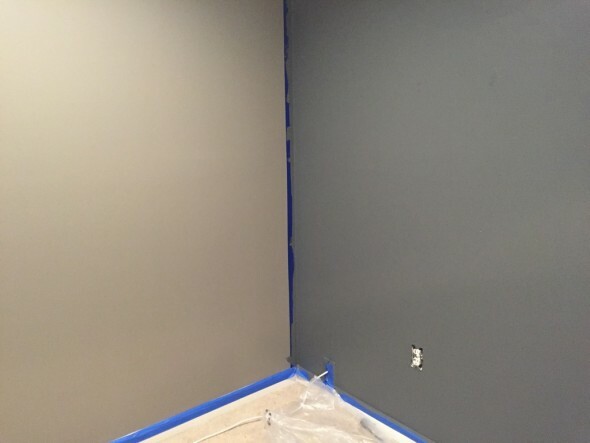 The other 3 walls went from kind of a taupe gray that we’ve had for 9 years to a darker, steel gray. And I just love this change. 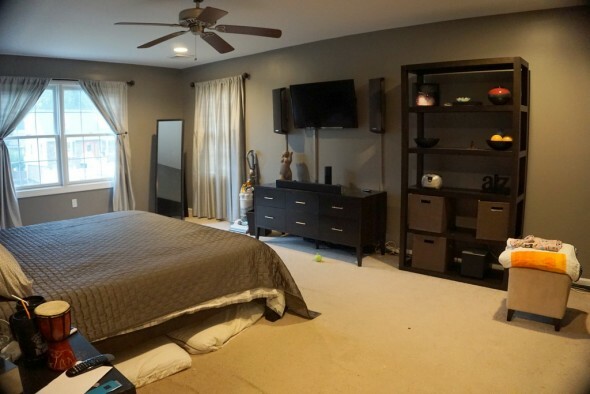 We’re getting new bedding, we’re replacing a couple of pieces of furniture, and hopefully by Thanksgiving everything will be finished, ordered, installed, and set up in here. But so far, so good. I’ve Finally Painted the Library! !